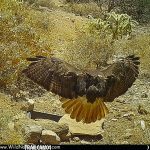 Blog Gray Fox Still Alive! 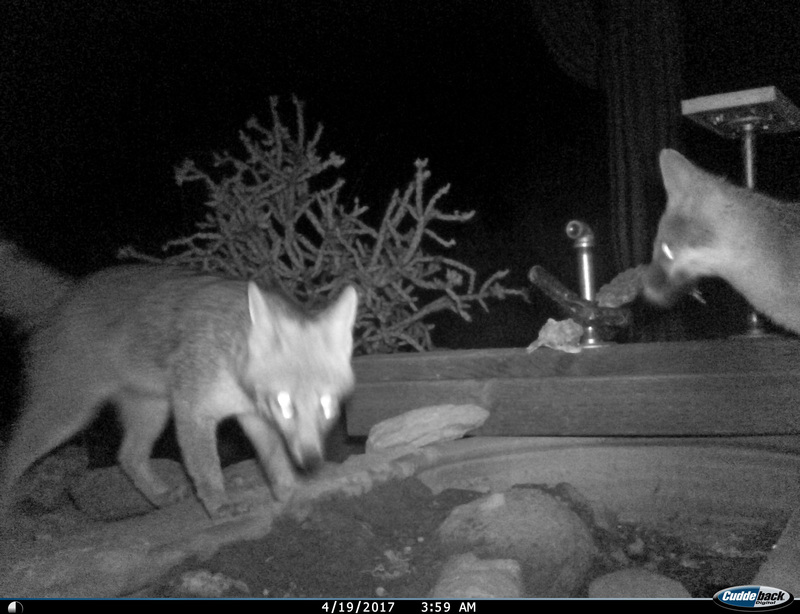 Two gray-fox in the game cam. 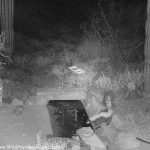 If you read my last post about the gray-fox, you will understand why the first thing I did late last night was pull the game camera to inspect the images. 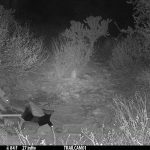 I knew it probably wouldn’t be conclusive because only a couple of times all winter have I seen both fox at the same time in the frame. 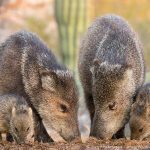 So, I figured I really wouldn’t know if I’m just seeing the same one over and over, or two. 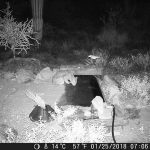 But, to my excitement and relief, both foxes appeared in a single frame a couple of nights ago, so I know conclusively they are both still alive! So cool. 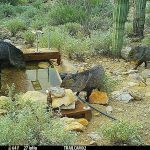 A lot of animals visited the water hole during the short time we were gone including return visits by the coyote, a number of visits by a great horned owl, numerous skunks, even a raptor which I haven’t take the time to ID – o, and lots of javelina!